While this is, in theory, the correct way to tie together an inbound marketing strategy, a small shift in the order of operations can make a big difference in how fast we see a return on our marketing efforts. While that return may be measured differently for some folks, it's safe to say that for most, a return on marketing efforts can measured in sales appointments. 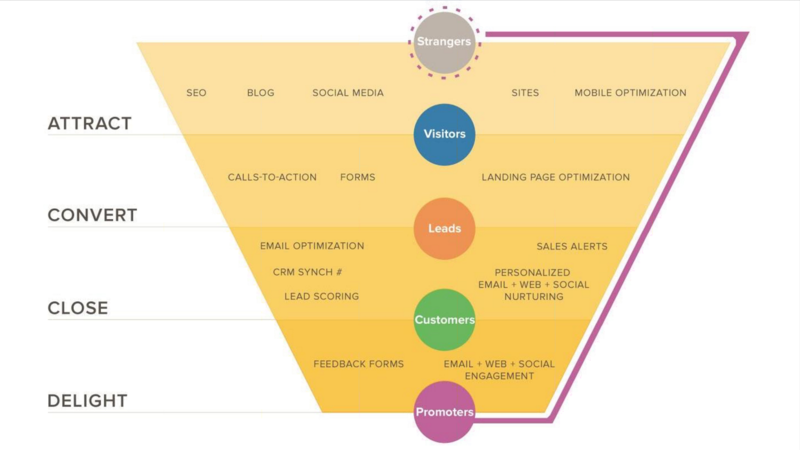 For that reason, it's important that when marketers start piecing together their inbound marketing funnel, they actually start from the bottom up with their sales team in mind. When creating the kind of infrastructure that empowers sales reps' 1:1 relationships with prospects, creates touch points, and facilitates booking appointments, every marketing activity we do can ultimately lead to interactions that create the most value. In other words, we need to create our destination first, so that we can carefully craft a road to it. Doing so will not only help you organize your marketing efforts better but will also give you an actionable metric to strive towards and start creating data around. 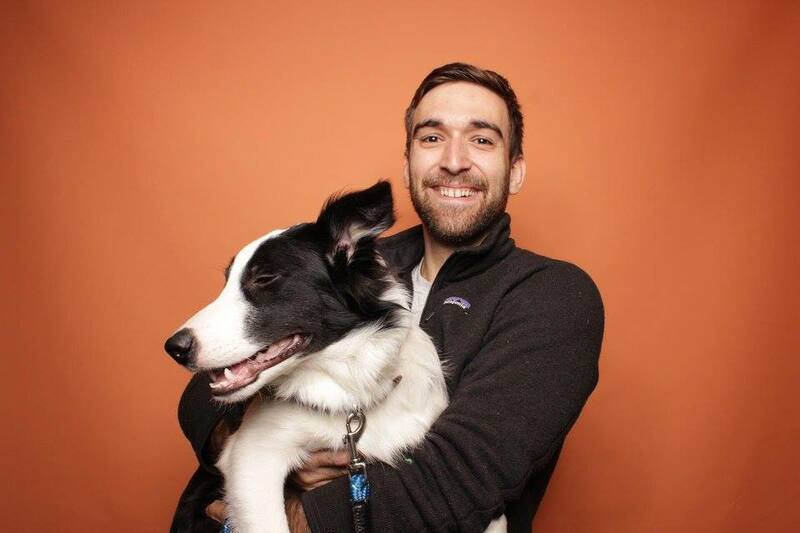 Of course there's also the added bonus of a happier sales team and more profitable company. Who doesn't want that? Today, I'll be walking you through a step-by-step guide for how to use the HubSpot Growth Stack (Sales Pro + Marketing Pro) to empower your sales team. The ultimate goal of this strategy is to drive sales opportunities. In order to do that, the first thing we need to do is laser focus on a part of your sales process that prospects want to opt in to and then make it easy for them to do it. Ask yourself, where along your sales process do you create the most value for your prospects? Maybe the first stage in your sales pipeline is an assessment where you help your prospects analyze if their business is ready for a solution like yours. Or, maybe you run a consultation where you weave qualification questions into a fifteen-minute session filled with tips and hints (see HubSpot's Inbound Marketing Assessment as an example). Even if all you have is a qualification call or a demo, your prospects will come away benefited regardless of whether they buy or not. All sales processes are helpful by nature in that they either help prospects get closer to solving their problems or eliminate a poor fit vendor from a prospect's list of potential solutions. Now that you have your consultation/assessment/analysis conceptualized, you'll need to create a meetings link that allows your prospects to book time under that premise. The first thing to do is make sure your reps are set up as users in your HubSpot instance, with Sales Pro access enabled. When you're editing your meetings link, you'll come to the interface pictured below, which provides you the opportunity to create context around the meeting you're offering. Being explicit about the value proposition of your offer is crucial. In the example below, we're offering a "Free Marketing Assessment." First, the offering is clear: an assessment that will take a look at your current marketing practices. Second, authority is established by highlighting the rep's "Implementation Specialist" role. Fourth, there's a clear expectation about the offer delivery. Fifth, the invite will include the rep's name so prospects will be reminded that they have an appointment with a real person. Lastly and most importantly, the invitation's description sets a clear agenda for prospects to follow. You'll notice our actual qualification question is, "What is your Biggest Marketing Challenge?" By asking the prospect directly, you'll have insider information heading into the call. Additionally, you can use it to disqualify prospects that may not represent the best use of your time. For example, if a prospect tells us their biggest marketing challenge is "generating leads," we can analyze their site for current conversion opportunities, whereas if they let us know their biggest challenge is "generating visits," we may start by looking at their current content. Showing up with relevant and personalized information can make all the difference between a stellar and mediocre sales call. In a disqualification scenario, a prospect may let us know that "time and resources" are their biggest marketing challenges. Since our help is limited for a prospect who doesn't have enough resources to work with, this answer tells us to either respond with resources in place of the assessment or to shorten the overall assessment. Another big part of this strategy is establishing a 1:1 relationship between prospects and reps. This is both for nurturing purposes and for fostering established trust and rapport by the time the assessment call happens. In order to do that, we must have a system in place that assigns a point of contact to a prospect the moment we get their information the first time. Once we establish which of rep will be that prospect's point of contact, we'll be able to reference his/her meetings link, name, and signature in all marketing efforts. HubSpot has automated lead rotation available within the Workflows tool. There are several ways to rotate your leads, depending on your company's infrastructure. Great for existing databases, companies with no pre-existing rotation preferences, simplicity. 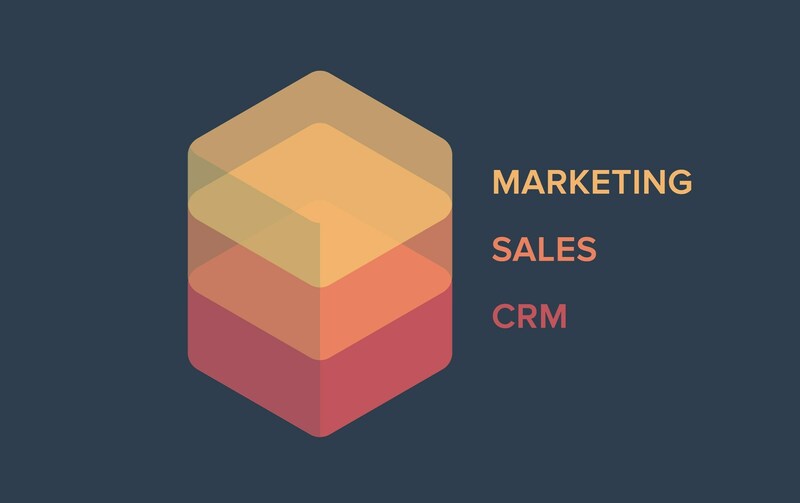 The premise of this workflow is simple: as soon as we know the email of a lead, we will set the HubSpot Owner to one of our (in this example) 3 reps. When the next lead comes in, we'll assign it to the next owner down the line and so forth until the rotation starts over. This is a simple way for companies whose sales teams are not segmented by deal size or location to assign leads. It's also a fantastic way to assign reps to existing databases. In this example, if we have a database of 1,500 prospects, and each rep gets assigned and is responsible for 500 leads the moment we turn this workflow on. Great for companies whose sales teams are specialized and segmented by deal size or products/services offered. In this example, we're working off a form that asks for operational challenges in a dropdown menu to identify how we can best help. In the workflow itself, we're saying that anytime a prospect identifies as "facing labor inefficiencies" on any form, we're routing that prospect to a team of reps who (ideally) specialize in offering services that cater to that challenge. When one of your prospects fill out a site form, HubSpot's software records the IP address from which they're making that submission. This allows you to to segment IP information by City, State, and Country. In the example above, we're rotating leads evenly amongst three Reps who cover the west coast. You can also combine this approach with a persona-based approach for further segmentation, depending on how specialized your team is. You have everything you need to start driving more sales appointments: an attractive way for prospects to book time with your team and a way to assign and reference a single point of contact throughout your customer's buying journey. First, set up your marketing emails to use HubSpot Owner personalization in the "From" details. This allows your marketing emails to appear as if they're coming from a prospect's respective point of contact and provides an added level of personalization. It doesn't end there, however, as we now need the body of the email to further communicate your rep's commitment to a lead. Within your email's body, use HubSpot Owner personalization tokens, which can be found under the "Category" toggle within the personalization token menu as seen below. It goes without saying that there are several benefits to setting up most of your automated, promotional, and educational emails like this. Second, you're positioning your sales reps as authorities in their industry by making it seem as though these incredibly helpful emails are coming from them. Prospects want to buy from people they trust, and emails like these make it easy. Third, you're helping your sales team nurture so that they can focus on prospecting, responding to appointments, and closing sales. When you're sending marketing emails from the marketing team, you're nurturing a relationship with a company. When you send emails like these, you're nurturing a relationship with a human. The same representative who we're establishing as a thought leader should be the same representative that's answering questions when prospects visit your site. To that end, you'll want to enable your Messages tool. Make sure that routing to a HubSpot Owner is always toggled on. Offline fallback should be reserved for a Sales Manager so that he/she can route appropriately depending on the nature of the prospect's question. With this infrastructure in place you can now focus on the rest of your marketing funnel, knowing that you're in the best position possible to nurture all incoming leads towards a sales appointment. Prospects come to your site because of a blog you posted on social media. They fill out a subscription/offer form, which brings their email into our database. Upon receiving their email, their contact record gets assigned a HubSpot Owner. In response to their form submission, they get an email that, though sent automatically, comes from their newly assigned HubSpot Owner and his/her corresponding meetings link with an opportunity to book time for a free assessment. 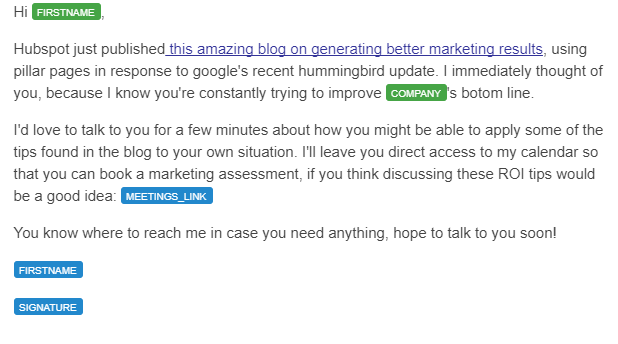 Time passes and the prospect continues to receive helpful emails from their HubSpot Owner, each having an opportunity to take advantage of that assessment. Your prospect goes to your site and asks a question that is promptly routed and answered by the same rep who has been providing helpful tips over the last several weeks. Your rep, taking advantage of the situation, responds in his/her chat with the meetings link he/she customized. Your prospect takes a look at your offer and determines that it would be a good use of his/her time to leverage their point of contact as a resource in an attempt to solve their goal. Your rep comes to the appointment with the information each prospect needs to make the most of that time. Taking a moment to build this out also ensures that your prospects will have many more opportunities to book appointments with their point of contact. While the above is an ideal case scenario, it does happen, and when it does, your bottom line will thank you. I hope this post helps you take your HubSpot Growth Stack implementation to the next level. As you're trying the strategy out, feel free to comment or email me with any successes, ideas for improvement, or questions!